We are so excited to feature Jamie Cantalupo, the President of Nook Sleep Systems as one of our amazing #BOSSLADY mama’s this week. You have probably seen Nook products grace the covers of People Magazine for celeb nursery design reveals and with a huge cult following like ourselves, this is a brand that should be in every home as it grows with your family. 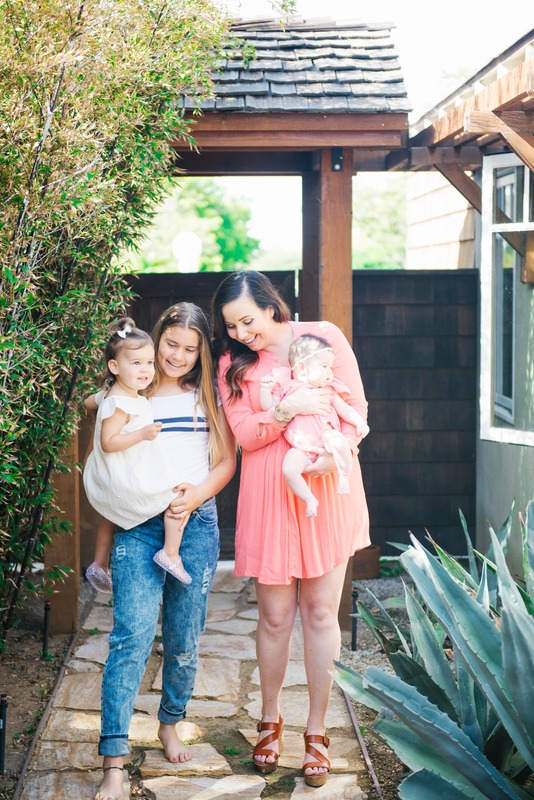 Not only is Jamie a gorgeous mama to three beautiful girls, she helps create the most innovative, organic products that all started with babies to make mattresses breathable and non-toxic. Over the years, it has expanded to toddlers, adults and even stylish home decor. Tell us your background and how you got started with Nook. I came from the legal industry and decided to make a move over to the wonderful world of Pebble 6 years ago. ☺ I was feeling complacent in my previous role and really wanted a new challenge. It was scary to make such a big move and change in my career, but I am SO glad I did. Nothing about Nook is complacent! We are growing at an amazing pace and constantly looking to develop our organic and healthy product line for our Nook families. We have a great team/family here at Nook and with everyone’s hard work, we are making big things happen. I feel so blessed to be on this journey with a company and team that truly inspires me. You‘ve got all girls! Tell us their ages and names. Have they inspired you to create any products we can find on your site? I do have 3 girls—and it’s SO fun! Chloe is 13, Emme is almost 2 and Stella is 4 months. Chloe has absolutely given inspiration to many of our big kid products and color expansion in the last few years. Peacock- our beautiful teal color, was definitely inspired by her. ☺ My nursing journey with both younger girls helped with the development of the Niche Nursing Pillow, our all-organic feeding pillow. And as Emme has entered into toddlerhood, the need for the perfect, organic toddler/transitional pillow sparked the fire for our newest product, the Pebble Pillow Jr.
How do you juggle a successful career with being a wife and mommy? Give us the low down. Do you have help? I do my best to stay organized and prep the night before… The mornings can be really busy in our house. And I have found that once the little girls are asleep, I can sweep through the house and cross off many of my “to do” items/lists. But even with that…. I absolutely have help! Our nanny is like family to us and really cares for our girls so incredibly well. Even when I am traveling for work, I know that everything is taken care of between her and my husband and the girls are happy. Having that peace of mind makes it that much easier to be away and to stay focused on Nook! What has been the biggest challenge to date as a mom in business? Finding balance between conquering it all at work and home has certainly been a big challenge for me, even more so now that Stella is here. There was a big difference going from 2 to 3 kiddos and recreating the balance we once had. I tend to go from 0-100 in many things I am passionate about, so learning how to slow down and teaching myself that some things can get pushed to the next day has been helpful. Which product is your bestseller and why? Our organic Pebble Pure mattress—it’s what makes Nook, Nook. It’s a fully organic dual sided crib mattress from the inside core to the beautifully wrapped pebble fabric. Every component of the Pebble Pure is natural and organic. With 3 inches of coconut coir and 1 inch of natural latex, it truly is the best crib mattress your little one can sleep on. It also comes in 11 color options. There really is a color for everyone and every design. Mexico, for sure! We live in LA and the short flight to Cabo or Puerto Vallarta is perfect for our family. We can be there in less than 3 hours! We love the water and the warm climate, not to mention the great food (and margaritas for mommy and daddy). Best beauty products you can’t live without. EVO dry shampoo…it literally is the best! I have dark hair and finding a dry shampoo that doesn’t leave a residue is tough. This one doesn’t and I swear by it. It works as a great hair spray back up too! Mac and Nars Blush—any color. I believe blush is a game changer for gals on the go. A little bit on your cheeks and you look refreshed even if you only got 4 hours of sleep the night before. Rodan and Fields Daily face mask—I love that it is so soft on your skin that you can use it every day as a face wash; however, if you’ve got a few minutes it doubles as a mask and seriously makes my skin feel like I’ve just gotten a facial. Where do you love to shop for your kids? What are some of your top 5 must-have items for your kids that you find useful? Nook LilyPad Playmat—ALL of my girls (ages 13 to 4 months) love the LilyPad. It’s so versatile. Chloe likes it for the beach with friends, Emme loves it at the park and Stella is just starting to love tummy time so it’s perfect. And did I mentioned my two golden retrievers use the LilyPad as dog beds? Puj Bath tub—it’s the best hands-down and travels SO easily. Clek Car Seat—the foonf is the best and safest in its class and will without a doubt grow with your kiddo (4+ years). I can’t wait until Stella is big enough to switch her over to her big girl Clek as well. Stokke Tripp Trapp Highchair- Every mom knows that the kids’ things can take over the house, but the Tripp Trapp has the smallest footprint and takes up the smallest amount of space, which I love. But what I LOVE most about this highchair is that it grows with your child. From baby to teen and beyond. And it comes in such fun colors. 4moms Breeze- We now own two since Emme is still in her crib and my love for this product has only grown. We travel often, and there is nothing more frustrating than spending time setting up and breaking down the baby/toddler gear. I can set up both Breezes in less than 2 min! I also love the larger base that the 4moms Breeze has compared to other play yards. We had custom LilyPad inserts made so the girls can sleep on Pebble even when we are away from home. I also loved the bassinet piece for Stella when she was really itty bitty. ** You may see a theme here…I love products that will grow with baby. In my opinion, it’s fine to make the investment when there are years of use built into your purchase. What advice/tips can you give to other moms who are struggling to find the balance with work and home life? Even new moms who are heading back to work from their maternity leave. Take it one day at a time or, even in some cases, 1 hour at a time. 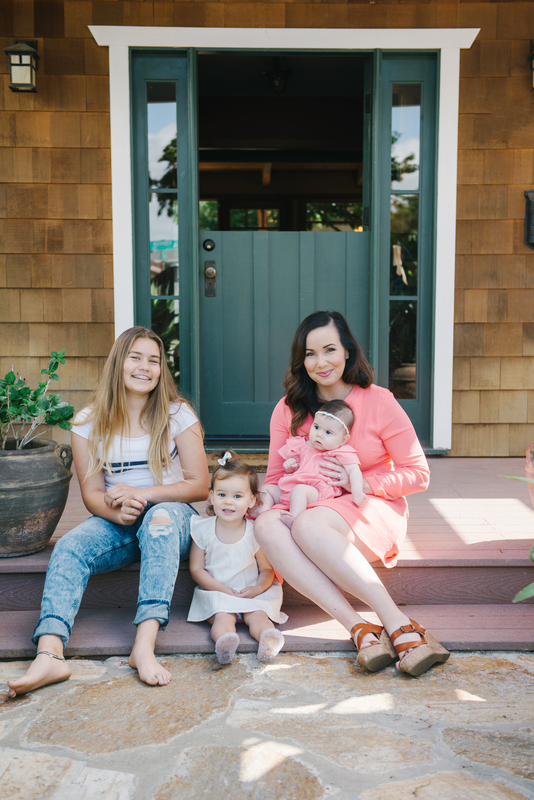 Finding a new balance as a working mama is tough and it doesn’t happen overnight. A lot of it is trial and error. Be patient and cut yourself some slack! Also do what you can to prep ahead of time. As mentioned, I often do a lot of my prep the night before. I make sure bottles are washed and breast pump is ready to go and packed near the front door so I won’t forget it. I even think about what I am going to dress the little girls in as well as what I am going to wear (although 99% of the time it’s Lululemon). 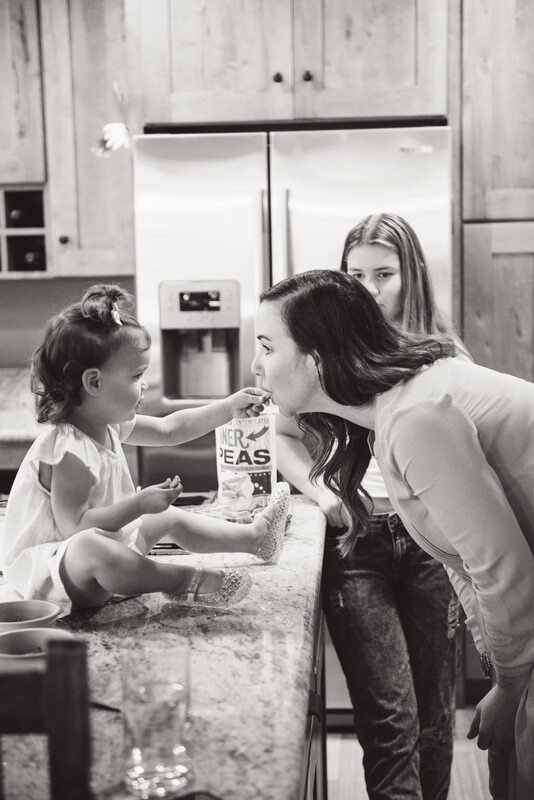 Having these little things done the night before will help the mornings run smoother and you will feel more confident and ready to tackle the day away from your littles. The silver lining is it gets easier with every week that passes. I promise! Mahalo Jamie for being our #BOSSLADY! We can’t wait to see what else is in store for Nook. Visit nookleep.com to view their full line of products. When Kathy first got pregnant with Kaia, our dad gifted her with a Nook Niche Nursing Pillow (not only great for feeding/breastfeeding, but even playtime and beyond.) and ever since then, we have been hooked on every Nook product that we own! We highly recommend this for every baby registry!